Speakers will describe their work on obesity and the strategies that they have used, detailing the elements that they found most important including their results. Provide evidence based examples that show the relationship between weight status and health in a number of ways including its relationship with chronic diseases. As a way of bridging both perspectives, provide a brief aspect of what they think is positive in the Health at Every Size concept. In the conclusion, they will deliver a clear recommendation of the next practice in fight against obesity and where we need to improve in our practice, measurements and conclusions. It is imperative that the attendees get clear recommendations of what has worked and where we need to be going in our practice if we want to make a dent in fight against obesity and related chronic diseases. To review the literature on how school-based gardening programs have improved dietary intake and health outcomes. To discuss how the "LA Sprouts" program, which is an after-school 12-week gardening, nutrition and cooking program for primarily low-income Hispanic elementary students, has resulted in reductions in obesity and improved dietary intake and related dietary behaviors. To identify key strategies and components in this program that resulted in the improved health outcomes. Emily Snyder is Nutrition Policy Associate at the Center for Science in the Public Interest, where she works on the healthy checkout campaign. Dr. Deborah Cohen is a Senior Scientist at the RAND Corporation and the author of the book, "A Big Fat Crisis — The Hidden Forces Behind the Obesity Epidemic and How We Can End It." Priya Fielding-Singh is a Ph.D. 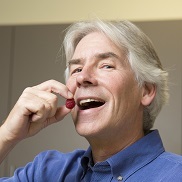 Candidate in Sociology at Stanford University studying food, health and inequality. This two-hour webinar aims to reduce global misunderstanding about what we call the work we do. It will consist of short presentations of different approaches to helping people eat better: Behavior Change, Social Marketing, (Food and) Nutrition Education, and Health Promotion. The following JNEB articles were recently recognized as being most cited papers during 2015. Shirley quickly summarizes the New Resource, Baby's First Finger Foods. For the full written review, see the New Resources collection. University of Eastern Finland via EuerkAlert!